Writing dialogue that sounds realistic is difficult. A lot of characters in fiction talk the same way, or sound campy, or seem overly formal/stiff. Very few authors can write dialogue that sounds like the way people actually talk. I recorded this late night writing session over a week ago while I was revising Awkward Moments in Dating: The Bailout , which I put on this blog last week. If you watch the video and read the story, you can see some of the changes that I made. I might have made a mistake trying to revise this dialogue scene at night. When I write in the middle of the night, I usually come up with new scenes because my brain is whirling in several directions at once. I usually reserve editing and revising for times when my brain is calm and more precise. But revising at night is better than not revising at all… unless I really mess something up. 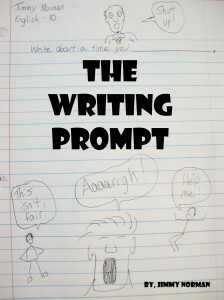 You can also see more late night writing problems at Late Night Writing: Delirium. « The ONE Book That Teaches You Everything You Need To Know About Life! !